I said the C word. Partly due to my excitement, and my love of reading other bloggers wish-list posts, I thought it would be cute to compile my very first one with Christmas in mind. There are so many amazing beauty related gifts around at the moment, and I practically read the boots Christmas gift guide like a novel - Honestly, couldn't put it down. So here lies what I consider to be nine of the best gifts, to give and to receive this Christmas. Fingers crossed, because we've been really good this year haven't we? 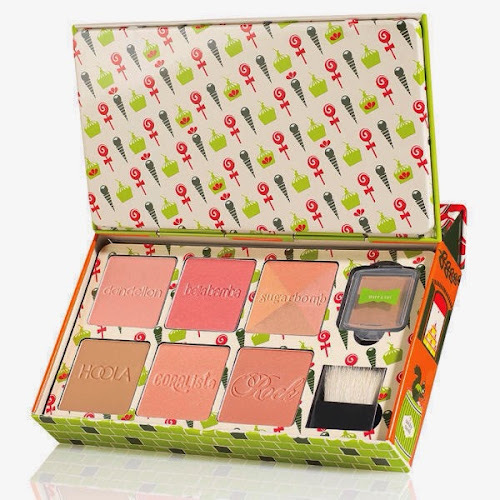 Benefit 'Cheeky Sweet Spot Box Box'O Blushes' Set. £29.50 in store or online here at Boots - I have fallen in Love with this gift set and I intend on purchasing a few myself to give to friends and family (that's if they haven't already sold out yet!) I've always been a fan of Benefit's boxed blushers, and this set is incredible value. In the set you get Dandelion, Sugar Bomb, Coralista, Bella Bamba, Hoola Bronzer, Rockateur and a mini Wats-up highlighter (my fave highlighter). The blushes themselves are only a few grams less than their full size counterparts, and they usually retail at around £23.00 each. So this is clearly a great deal, allowing you to try out all of their blushes to see what you like! The only slight down side is the packaging, as the blushes are contained within the tin presentation box, rather than in individual boxes - but they could always be de-potted. The 'O' Hair Rollers, by Cloud Nine. On sale for £134.60 at Beauty Bay - I've been in need of some decent hair rollers for some time now. My current fail safes are an old Remington set, That I think I may have acquired for Christmas about 5 years ago. Whilst they are still in good working order (amazing really!) I have over time lost the little grips, and they are generally looking a bit sorry for themselves. I recently went to the hairdressers and rather than blowdrying my hair curly, they used the 'O' rollers. 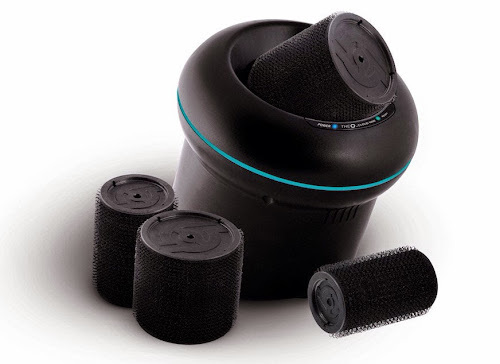 Each roller is Velcro based and you simple drop them into a little heat pod, and within a few seconds they're ready to be placed into the hair. I was so impressed, my curls lasted all day and I had that big, bouncy, expensive blowdry look that makes you feel all bitchy. To be able to create this at home would be awesome. So here they are, on my good girls list. Jo Malone Wood Sage And Sea Salt. £30 for 40ml or £82 for 100ml. Available online Here Or in store - By now I'm sure you will have read one thousand reviews of Jo Malones fairly recent launch. I hadn't actually tried this out until a few weeks ago, when I had a cheeky spritz (ok, drowned myself) at the airport duty free. My favourite Jo Malone perfume is Peony And Blush Suede, which is obviously quite a floral and feminine scent. Wood Sage And Sea Salt however, is much fresher and has a clean but unusual scent - Clearly I'm awful at describing smells, but go try it out for yourself if you haven't already. I think Jo Malone products make a really special gift, their packaging and gift boxes are just adorable and the perfumes are always so long lasting and such high quality. 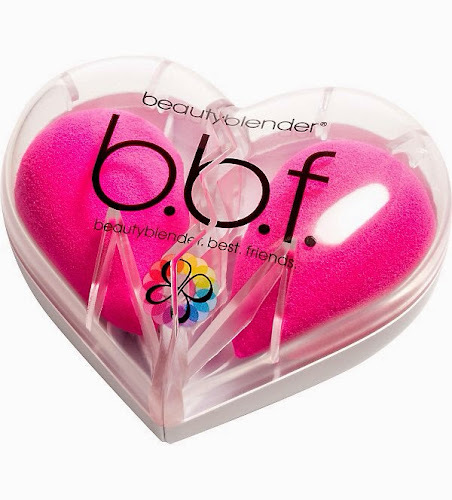 Beauty Blender BBF Set £28.00 from Selfridges - Since giving in to the hype and purchasing a beauty blender, I've been using it daily. Although I wasn't sure at first, now if I ever find myself without it I feel that my foundation just doesn't look quite the same, so I guess I'm well and truly hooked. I think this would make a great gift, as it's not something everybody would be happy to spend money on (£15 for what's essentially a sponge can seem quite excessive) - but it's something every beauty lover would enjoy receiving as a gift. If your feeling super generous (or just fancy keeping one for yourself!) then this BBF set (£28) is adorable. The heart splits into two and doubles as a great little carry case and place to dry your beauty blender when not in use. Handy! 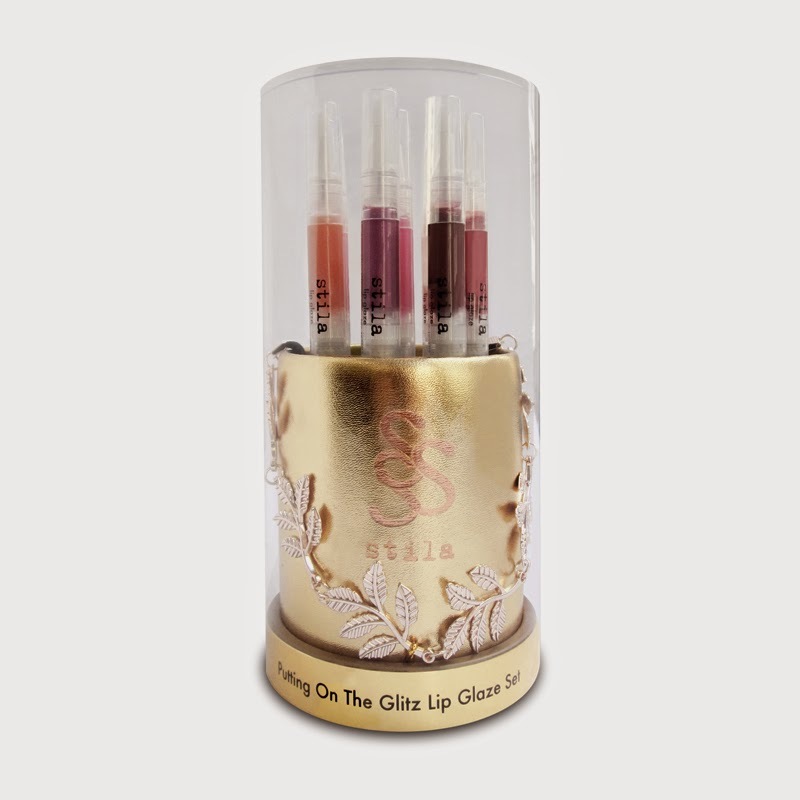 Stila Putting On The Glitz Lip Gloss set. £27.50 Available Here - Stila lipglosses have always been a favorite and this set is full of pretty wearable colours, with a £93 value! Along with this feast of lipgloss, you also get a gorgeous jewelled headband from favorite US jewelry designer BaubleBar, and it's rose gold :) What more could you want. Laura Mercier Mini Caviar Stick Eye Colour Collection. £38 Available at House Of Fraser - I love these mini caviar eye sticks, they work in multiple ways to define, shadow, highlight and line the eyes, creating both beautiful shimmer and Matt looks in an easy sweep. Super easy to work with, and long lasting. In this collection you get minis of Rose Gold, Amethyst, Moonlight, Copper and Khaki to play with. Gorgeous! I seriously love the Benefit tin! All the colours in it are gorgeous! And of course you can never go wrong with Jo Malone. Great list! Really enjoyed this post! 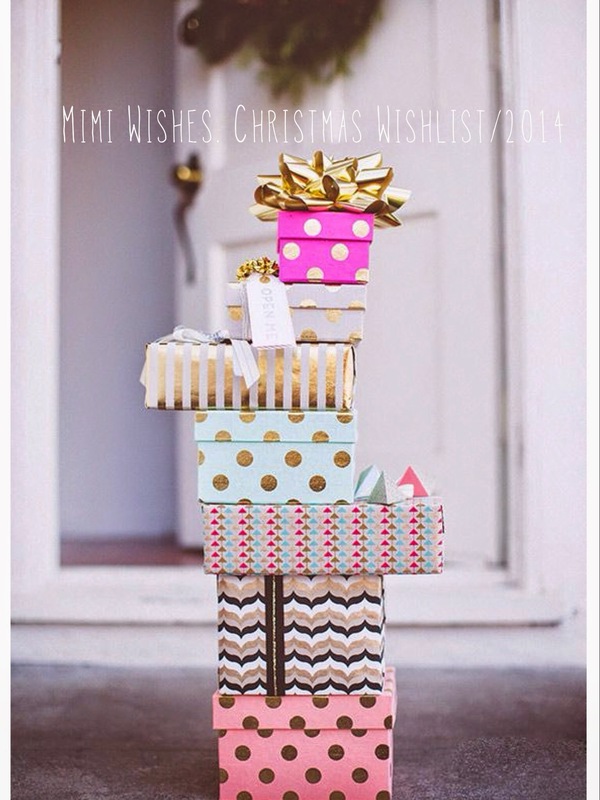 I've got a christmas gift guide coming soon! 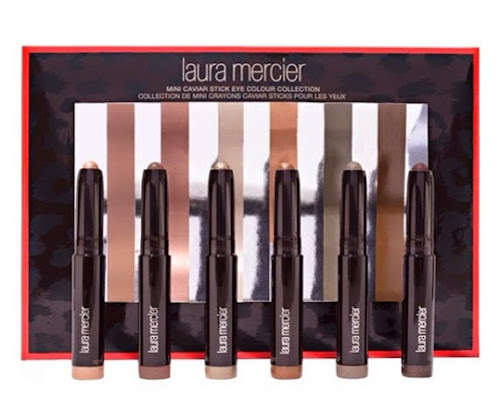 Those Laura Mercier Mini Caviar Exe Sticks are great. I have been dying to try them quite some time now.